A group of IfM researchers has been awarded funding from the ESRC and EPSRC for a new research project to examine the likely impact of digital fabrication (which includes processes termed ‘additive manufacturing’ or ’3D printing’) on the UK economy. Much has been written about how these new technologies could be poised to bring about a manufacturing revolution. However, while they have the potential to change manufacturing fundamentally, there is a danger of the topic becoming overhyped. 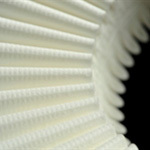 This new project, starting in September, will draw together researchers from the IfM, the Judge Business School and the Department of Politics and International Studies to consider the interconnected technological, commercial and policy issues surrounding the emergence of digital fabrication. The IfM, with its unique combination of expertise in technology, management and policy, is well placed to lead this important research project. A new IfM research unit funded by the Gatsby Foundation has been launched – the Centre for Science, Technology & Innovation Policy. CSTI research focuses on the question ‘What makes national innovations systems effective at translating science and engineering into new technologies, industries and economic wealth?’ and addresses it by bringing together researchers from a mix of backgrounds and with practical experience of working for research and innovation agencies in the UK and abroad. 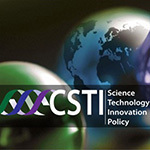 CSTI’s research agenda is defined in close dialogue with applied UK policy agencies, including: the Department for Business, Innovation & Skills and the Technology Strategy Board; the Engineering and Physical Sciences Research Council; the Higher Education Funding Council for England; as well as with international institutions such as the Organisation for Economic Cooperation and Development (OECD) and the United Nations Industrial Development Organisation (UNIDO). To find out more about CSTI and its research projects, visit this link. On Saturday, 23 March, the IfM opened its doors to the public for an afternoon full of exciting activities and talks aimed at children of all ages. 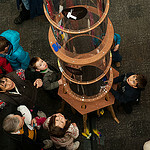 Hundreds of children and adults attended the event, challenging each other in the popular Rocket Racing and Laser Bunny Hop, observing the world being slowed down thanks to a high speed imaging camera system and singing to drops of water to see them separate and go upwards thanks to waves produced by sound and light. Each year the IfM welcomes over 1000 visitors as part of the annual Cambridge Science Festival with a host of displays, exhibitions and hands on activities guaranteed to amaze and delight both young and old. 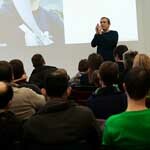 A selection of the best pictures from the 2013 event can be found here. A new programme was launched this year with the aim of building a long-term research-practice partnership which has real benefits for both the industrial and research communities. The Strategic Technology and Innovation Management (STIM) Consortium has been set up by Dr Rob Phaal from the Centre for Technology Management (CTM). 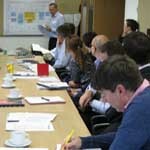 The benefits of membership include access to a network of firms from a range of industry sectors to share experiences with, the opportunity to influence the direction of research and development, participation in case studies and application pilots, and support for the transfer and application of the methods developed. The first meeting of the 2013 STIM Consortium took place on 14th March, providing an opportunity for members to have an update on progress, and to engage with all the research projects. To lean more visit this link. Dr Tim Minshall, Senior Lecturer in Technology Management, has won a Royal Academy of Engineering ExxonMobil Excellence in Teaching Award. These awards are given to people who have 'distinguished themselves within their peer group by showing a strong and continuing commitment to teaching, professional activities, promoting engineering as a rewarding and creative career, establishing industrial-academic links and other activities which ultimately ensure the output of top-quality graduate engineers'. Tim is planning to use the £5k award to help develop resources to support the Department of Engineering's outreach activities with schools. Tim has also has been invited to take part in this year’s Hay Festival of Literature and the Arts in Wales, where he will talk about the role engineers have in building a better future for us all. The talk will take place on Sunday, 2 June at 11.30am. Professor Steve Evans, Director of Research in Industrial Sustainability, has been asked to be part of the Lead Expert Group (LEG) within the ‘Future of Manufacturing’ project, led by the Government Office for Science Foresight programme. The project’s aim is to provide a timely and fresh look at the long-term picture for the manufacturing sector out to 2050, investigating global trends and drivers of change. The group of experts from industry and academia of which Steve is part will explore how to maximise key opportunities and mitigate risk in the UK, providing a robust evidence base to help ensure that policy decisions taken today are resilient in an uncertain future. The project’s outcomes will help inform policy makers in the Department for Business, Innovation and Skills and a range of other relevant departments throughout the project and beyond. Head of CSTI, Eoin O’Sullivan and researcher Elliot More from the Centre for Management Technology are also taking an active part in the initiative, working on projects which will be then be part of the final report to be issued in Autumn 2013. A new section of the website completely dedicated to roadmapping has been launched this week. This portal brings together all the available resources on the topic of roadmapping and will contain a collection of case studies showing concrete examples of the approach in action. The IfM roadmapping portal can be found here. The IfM often features in the UK industry publication The Manufacturer. This month, the magazine interviewed Steve Evans on the topic of sustainability – you can read the interview online here. If you would like to sign up for The Manufacturer’s Newsletter, receive a free copy or subscribe to the publication click here. 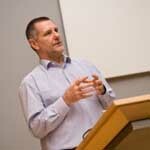 Two evening workshops that will help SMEs take a more proactive approach to procurement. Design management as a field is growing in maturity, developing in its academic respectability and addressing new and exciting challenges. A two day workshop covering the fundamental issues associated with the management of early stage technology and innovation. Disruptive supply network models in future industrial systems: configuring for resilience and sustainability.